Calico Critters recently added a kangaroo family. Finding the perfect toy for the holidays is hard. Toy crazes come and go every year, and with them come a host of toys that are played with for a few days or, if you're lucky, weeks, and then simply forgotten again. But there's nothing as timeless as a stuffed animal friend. This year check out our toy guide to find some friendly critters to bring home to your kids for the holidays and ensure a fun play time year round. 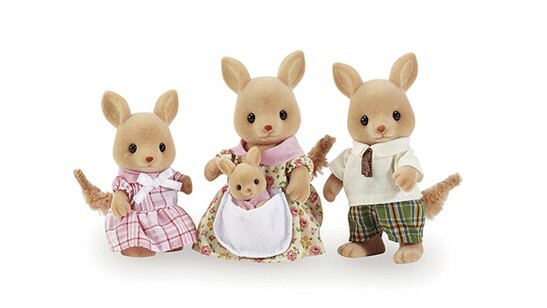 Meet the Hopper family, the latest addition to the growing Calico Critters universe. The Hopper Kangaroo family set comes with four figurines — mom, dad, and two baby girls — each with cute and cozy outfits and their own in-universe backstories, but that doesn't mean they're not open to new imaginations and interpretations come playtime. Pick up a set to start up your Calico Critter collection or use it as the perfect extension to a set you've already started up. We think they'd look pretty stylish driving around in the convertible car. Maybe you don't want to buy a real puppy for Christmas, but you could buy the next best thing. Douglas' Rescue Pups collection features a set of adorable, cuddly mixed breed puppies for your kids to love (purebreds are overrated and unethical anyway). Just like a real puppy, each of Douglas' Rescue Pups is unique with features you won't be able to find anywhere else. Gail Smith, owner of Toy-Go-Round over on Solano Avenue especially loves them because with each purchase, Douglas makes a donation to support dog rescue efforts and humane societies across North America. A cute gift that makes a difference? We're sold. 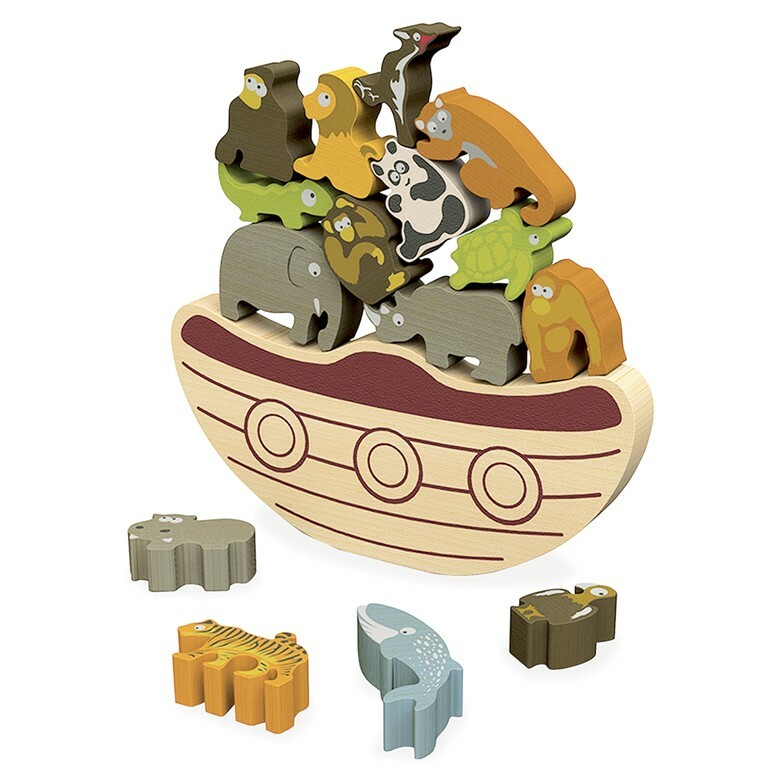 Endangered Animals Balance Boat comes with 15 wood animals. It's like Noah's Ark without the religious baggage but with the same lovable animals. This wood toy comes with 15 animal figurines beautifully decorated with a child-friendly paint and a charming little wooden ship for them to all balance on. It works as well as a balancing skill game as it does as a puzzle or even as a make-believe zoo play set. Each set is made of eco-friendly rubber wood, too, so each set of critters you buy is also sort of helping real-world animals. The jellyfish are lit with LEDs. Lava lamps are so last century — it's time to upgrade to the jellyfish lamp. The folks over at Five Little Monkeys say it's perfect for all ages and man are they right. With its two ethereal jellies that dance around in the lamp's color-changing LED glow, it works just as well as a night light for the kids as it does as ambient mood lighting or even as a statement piece for your office desk. And with its auto shut-off feature, it's eco-friendly, too. Why go through the hassle of curating and maintaining a whole aquarium when this beautiful lamp could do the trick? With 3 square feet of fairies, florals, and fun, what's not to love about Petit Collage's fairy garden puzzle? The puzzle features chunky, sturdy pieces designed for toddler hands. And with just 24 pieces, clean up is fast and easy too. (Bonus: It's practically impossible to lose pieces here.) The illustration, featuring friendly faces and gorgeous jewel tones, is lovely too. If you love the specs but fairies aren't really your thing, that's no problem either — Bird & Bean over in Rockridge stocks multiple designs. Sales associate Natalie Van Ert especially recommends the mermaid and outer space puzzles. We all know Ash Ketchum has gotta catch 'em all, and now so can you. Kimono My House in Emeryville is chock full of Pokemon toys and collectibles, but we especially love their hand puppets. Choose from Mew, Togepi, and, of course, Pikachu as your starter and keep collecting from there. Unlike other hand puppets, these can stand up straight on their bases, so if you're more into nerding out over collectibles than you are into playtime and puppet shows, these could still be the perfect gift for you. A word to the wise, though: Kimono My House is only open on weekend afternoons, so if you're planning on stopping by, you'll have to plan ahead. Oh no — Aunt May is in trouble with the Green Goblin! But who better to help her out than you and Spider-Man himself? With over a thousand pieces to build up, breakdown, and shuffle around again and seven mini figurines (including Spider-Girl — we love a good gender-inclusive hero narrative), this set offers practically endless opportunities for kids to let their imaginations and their inner architects run wild. Or they could use the set to create their own shot-for-shot remake of the iconic scene from the 2002 movie. Either way it would be the best Spider-Man reboot yet (sorry Andrew Garfield!). The Squishable Avocado is ready to cuddle. 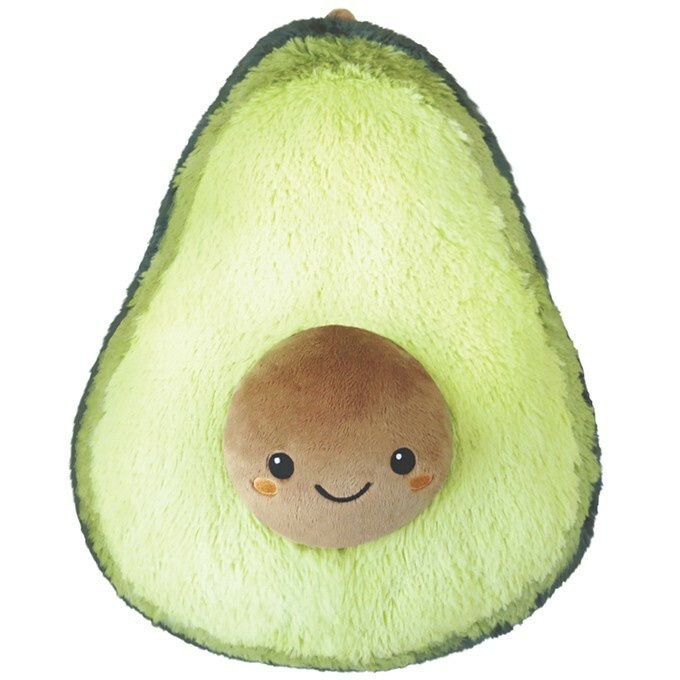 Squishable Avocado $6.99-$249.99Everyone loves a good avocado but who'd ever have thought that they could be so darn cute? No, they're not technically an animal friend, but when you take a look at a Squishable avocado's face, you'll see that they're close enough and just as lovable. While these little guys may not be right for whipping up some guac or a nice avocado toast (although there's also an avocado toast plushie, if that's more your speed), they're perfect to cuddle or use as a snuggly pillow, and the micro edition makes an ideal keychain to hang from any backpack. The band embraces non-hierarchal songwriting on its latest folk record. The experimental hip-hop duo is working on a trio of themed EPs.